The boss of Bovis Homes’ new partnerships business has said that the company is not targeting deals with for-profit associations, and that he remains “cautious” about the organisations trying to strike these deals. Keith Carnegie, chief executive of Bovis’ Partnership Housing Division, told Inside Housing that he has seen for-profit associations looking for deals to buy housing stock from private builders, but that he is wary of agreeing anything. Earlier this year, Greg Fitzgerald, chief executive of Bovis Homes, said that the house builder had increased the number of homes earmarked for private sale sold to housing associations in 2018, and expected there to be further deals in 2019. This included a bulk sale deal of 275 private sale homes to Heylo Housing, which completed in 2018. 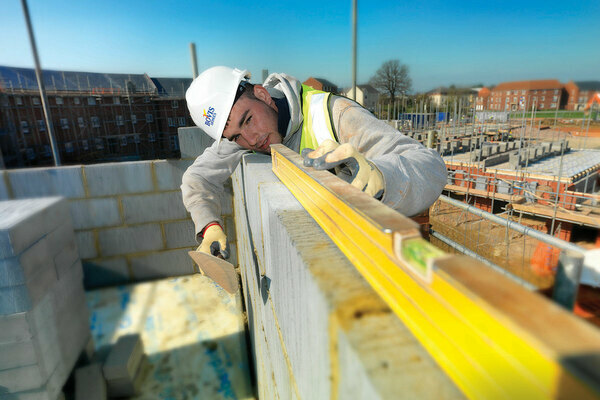 In recent months, a number of private house builders have carried out large-scale bulk sales to housing associations at discounted rates, including Crest Nicholson and Taylor Wimpey. Mr Carnegie’s comments came in an interview with Inside Housing following the launch of the house builder’s Partnership Housing Division, which will set up joint ventures with housing associations for developments across its strategic landbank. The partnerships division will become its own standalone business in 2021. Mr Carnegie confirmed that Bovis is currently in discussions with several housing associations over potential joint ventures on sites across the country including in Northampton, Taunton and North Whiteley. Over the past 12 months, a number of private house builders have been setting up their own for-profit registered providers to ensure control over some of their affordable housing stock. Mr Carnegie ruled out Bovis looking at setting up its own registered provider in the near future, saying that while he “wouldn’t completely rule it out”, he would leave affordable housing to “the guys that know what they are doing”.